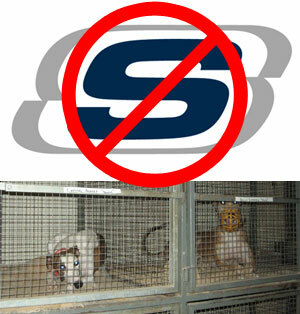 Saving Greys, by GREY2K USA Worldwide: Will Skechers Stand Up for the Real Underdogs, or Ignore Evidence of Cruelty? Will Skechers Stand Up for the Real Underdogs, or Ignore Evidence of Cruelty? With the Super Bowl only twelve days away, Skechers executives have so far refused to pull their advertisement that was filmed at Tucson Greyhound Park. They apparently intend to move forward with this misguided promotion, over the objections of more than 114,000 citizens who have asked them to reconsider. In defending their decision, Skechers executives have started a campaign of misdirection. They want people to believe that our objection is with the content of the advertisement itself, which they point out, we have not yet seen. Of course, these executives know better. Our objection is not with the content of this proposed spot. The spot might be objectionable, it might not. Instead, our concern is that it was filmed at Tucson Greyhound Park. Tucson is one of the worst dog tracks in the country, and has a dismal record on humane issues. Skechers should be ashamed of their decision to partner with this notorious facility, and deserves to lose customers. The problems at Tucson are so pervasive that it is difficult to report on all of them. In fact, just in the past few days we have obtained new documents from the Arizona Department of Racing regarding problems at the track. First, in an official state Operations Report dated January 13, 2012, a state regulator reported that the "Management that operates the track has been sanctioned numerous times" including violations of Arizona Administrative Code, Arizona Statutes, State Department of Racing policies and orders from the Arizona Department of Racing. "Department of Racing personnel have worked diligently to inform track management and trainers that there is an ectoparasite problem requiring immediate attention ... the veterinarians have continued to inform responsible parties that the efforts are falling short and that the problem continues to worsen." Dr. Carlton then goes on to explain why recent attempts to inspect greyhounds that are scheduled to race for parasites had largely failed. However, he expresses optimism that such inspections can address the problem. "On Monday, October 3rd I arrived at Tucson Greyhound Park (4:45 PM) and there was no vet in the Paddock, no Racing Personnel in the Racing Office and no Track Steward and the greyhounds were just walking through the Paddock at will with no checks at all .."
In a separate message dated December 22, 2011, Reinerston wrote to other regulators to tell them that it had "been a bad/long week at TGP." Unfortunately, he did not provide further details of what problems occurred at the track that led him to send this particular message. It's not too late for Skechers to do the right thing. It's likely that the company was not aware of the problems at Tucson Greyhound Park when they filmed their ad there. However, they now know about the problems at this cruel facility, and with that knowledge comes a choice. If Skechers moves forward with their Tucson Greyhound Park ad, it will demonstrate a lack of concern for the humane treatment of animals, and a degree of corporate callousness. In short, moving forward would call into question its willingness to be a good corporate citizen. On the other hand, Skechers could decide to really side with underdogs everywhere, including the greyhounds now living at Tucson Greyhound Park. By scuttling their proposed ad, the company can send a message that it takes the humane treatment of animals seriously. I am in complete support of this Boycott and will take the Sketchers I wear today box them up and mail th back to their corp headquarters! I will too and I can only hope that thousands of others will as well!!! I can not believe the nerve of them thinking that exploiting abused animals will make people want to buy their shoes!!!! SICKENING!!!!! I am not against the shoe industry, but very disappointed and disheartened that Sketchers would continue to "use" Greyhounds, which are abused for the few years that they race, and then "fired" which usually means euthanasia. 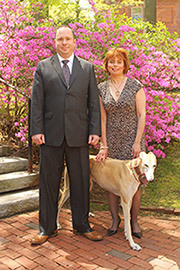 Many people do not understand that the Greyhound is a wonderful, loyal, smart, and loving companion. I have known people who have Greyhounds and can attest to the fact. Because they have not been educated about the Greyhound and the way it is portrayed, many people see them as nothing more than a "non-personality" racing dog doing a job. Fortunately, for the Greyhounds and us, we have Greyhound Rescues in this country, bless them for the job they do. As for me I would rather see 10 second flashes of the race, then after the race the dogs being put back in the kennel where they are caged, the walk to the euthanasia chamber, a Greyhound rescue site, a family with a Greyhound, then the Greyhound racing over a distance to the family it loves and a message that said, The Race is On To Save These Beautiful Dogs, Race for Them in Your Sketchers, and then Please Adopt a Greyhound. Something like that would have a positive message and one where I would support and wear nothing but Sketchers. I'm realistic enough to believe you can't just stop dog racing in its tracks, you need support and legislation, but a commercial with that message in the Super Bowl would have been monumental in fast fowarding legislation, and the message itself far reaching to millions watching the game. If you agree, Please click on the link and send a message to Sketchers asking them NOT to promote Greyhound racing through their Super Bowl ad. Thanks! Stella, their Marketing Department needs to HIRE you !